Invisalign reaches an industry milestone with their 6 millionth patient. 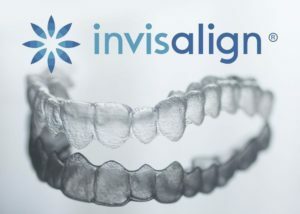 Invisalign is known as the most advanced clear aligner teeth straightening system in the world. It has now reached 6 million patients including 1.4 million that are teenagers. There is 150,000 Invisalign trained dentist around the globe, and Dr. Jacquie Smiles is among one of the most experienced Invisalign providers in the world. Invisalign treatment is conducted by a licensed, well trained professional orthodontist. The clear aligners are custom-made to suit the individual patient’s needs. The process is comfortable and easy to maintain at home. Patients change their clear Invisalign aligners about every two weeks in the comfort of their own home. The best thing is being under the supervision of a trusted orthodontist that has years of experience treating patients with Invisalign. Patients that have mishaps with their aligners such as accidentally throwing them away or damaging them can immediately contact their orthodontist for further assistance. Invisalign patients often say the process is comfortable and convenient. Patients put their trust into their orthodontist and feel confident they are receiving high-quality care. Patients report the opportunity to remove the aligners to eat and drink is one of the extraordinary perks of using Invisalign to straighten their teeth. Dr. Jacquie’s most rewarding experience is one that she says she witnesses all the time when she removes a patient’s braces or finalizes their Invisalign orthodontic treatment. At the beginning of their treatment, when Dr. Jacquie evaluates a patient for the first time, she says that many patients don’t reveal their true self. Often they are covering their mouth and hiding their smile. Dr. Jacquie says, “The end of treatment is always the most rewarding when I witness how my patients sit up a little taller in my dental chair and become more confident, radiant and expressive. This feeling simply never gets old!” This moment is what Dr. Jacquie says is the most rewarding feeling. Invisalign treatment is expected to increase around the globe for years to come. It’s already the chosen teeth straightening treatment above standard metal braces. The convenient, safe, and discreet way of straightening teeth is encouraging patients in the United States and worldwide to choose Invisalign as their number one treatment. Are you ready to choose Invisalign as your teeth straightening treatment? Get started today by contacting our office for an appointment! 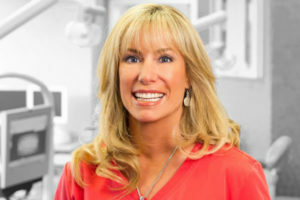 Dr. Jacquie Smiles began her career in orthodontics dentistry at Boston University and became the first female Director of B.U.’s Predoctoral Orthodontic Department. Since then she has become an expert in orthodontics and opened several offices in New York and New Jersey. She is a VIP Platinum Invisalign Provider and has been recognized as a top provider every year since 2003. In September 2005, Dr. Jacquie Smiles became Invisalign’s Spokesperson for a hygiene campaign. In 2009, she became a Spokesperson for Invisalign Teen treatment which was featured on the Tyra Bank’s show. Contact us today for your no-obligation Invisalign appointment in NYC. You may also call Dr. Jacquie Smiles at 212-972-3522. Our office is conveniently located near 30 East 40th Street Park Avenue, New York, NY 10016.